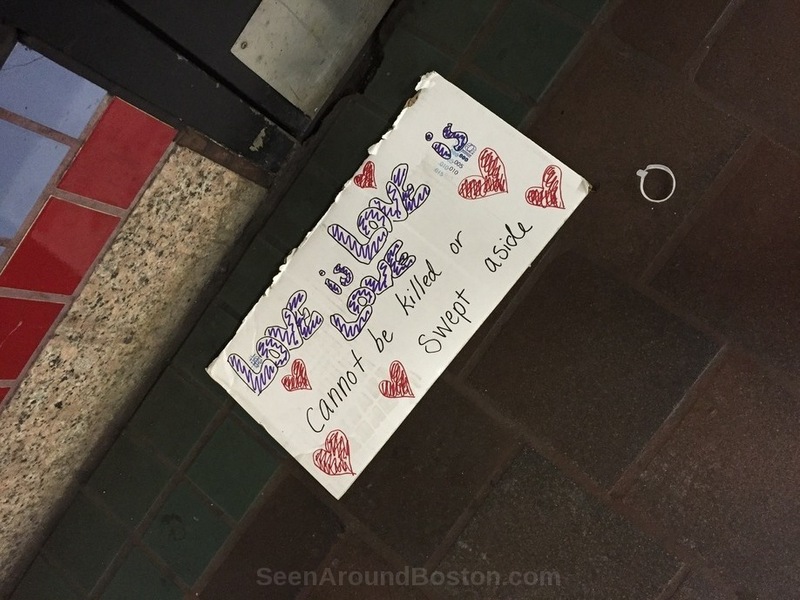 On the floor in Central Square Red Line station. 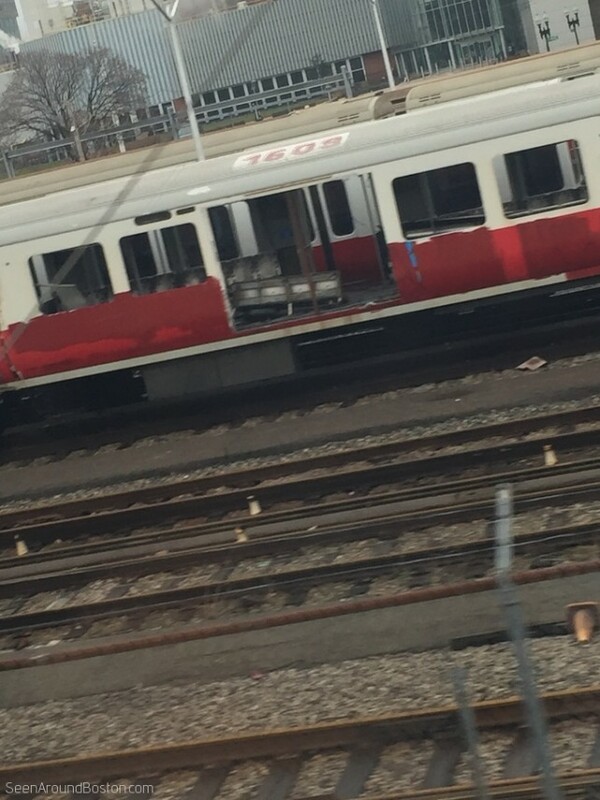 An old Red Line car in the South End rail yard. 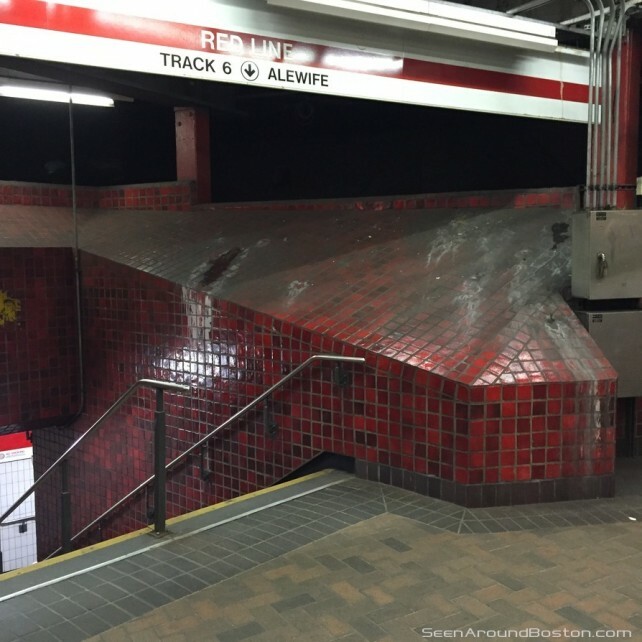 Entering Green Line westbound, at top of stairs from Red Line northbound platform. 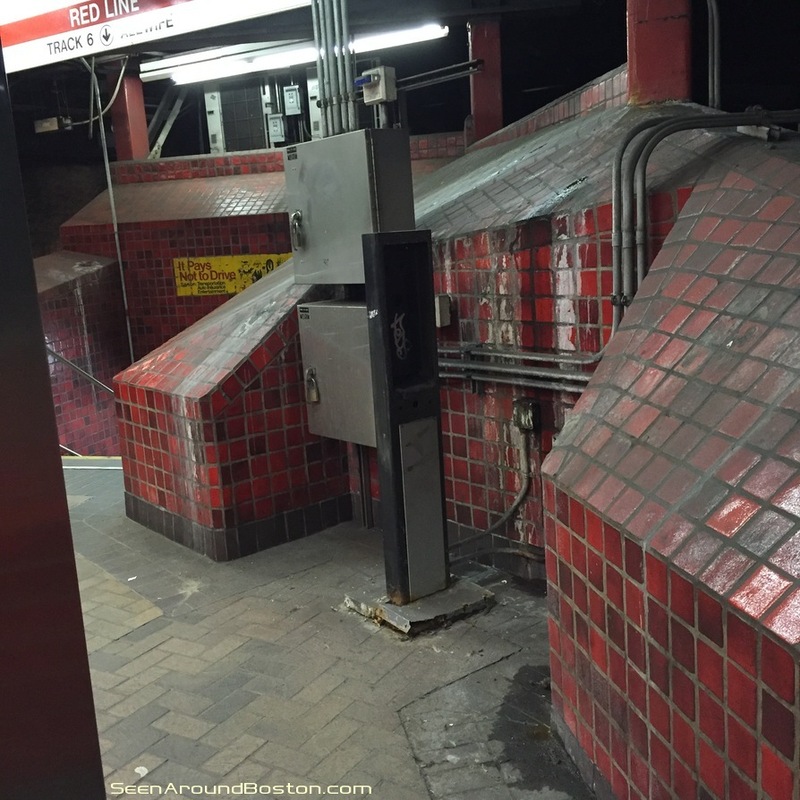 This is one of the most highly-trafficked transfer points in Boston’s subway system.